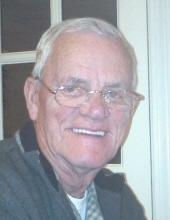 Michael R. Butler, age 81, passed away surrounded by the comfort of his loving family on March 6, 2019 at the Vitas Hospice Unit at Physicians Regional Medical Center in Naples, FL. He was the son of the late Lawrence and Rita (Lacey) Butler. Mike was born on December 25, 1937 in Boston. He married his wife Carol (Landsburg) Butler on December 18, 1960 at Most Precious Blood Church in Hyde Park. He proudly served his country in the US Navy for 23 years, retiring as a Master Chief. He was employed as a civil engineer for Bechtel of Boston for many years. Mike enjoyed traveling, especially spending winters in Florida. He was a talented woodworker and adored his grandchildren. Mike most enjoyed spending time with his family and many friends. He was a loving and devoted husband, father and grandfather. Loving husband of Carol (Landsburg) Butler. Devoted father of Nancy Butler of Pawtucket, Tammy and her husband David Warren of Attleboro and Michael Butler, Jr. of Attleboro. Adoring Papa of Nicole Warren, Teddy Myers and Kelsey Myers. Great grandfather of Grayson. Brother of Jane, Larry, Rita, Marie, Edward and the late Jack and George. Also survived by many nieces and nephews. Relatives and friends are kindly invited to attend calling hours on Saturday, March 30 from 1 PM to 3 PM at the Roberts and Sons Funeral Home, 30 South Street, Foxborough MA. A Memorial Service will be held at 3 PM at the conclusion of calling hours. For additional information, please contact 508 543-5471. To send an on-line condolence please visit the funeral home web site at www.robertsandsonsfuneralhome.com. I lieu of flowers, donations in Mike’s memory may be made to the St. Jude Children’s Hospital, 501 St. Jude Place, Memphis, TN 38105. "Email Address" would like to share the life celebration of Michael R. Butler. Click on the "link" to go to share a favorite memory or leave a condolence message for the family.